Buying a house is the American dream. It allows people to own their own piece of the world, to build equity, and to create a home for their family. The purchase of a home is often the largest purchase people will make in their lifetime. As such, there is often some hesitation and a fair amount of anxiety involved over the formalities involved. One important formality is the Purchase and Sale Agreement. Unlike other property, the purchase of real estate requires a written contract to be binding.1 This agreement can be very simple or very complicated, but every real estate purchaser should be careful to understand what is in the agreement and what is absent. Purchase and Sale Agreements often times include requirements for deposits. The deposit is different from your down payment and as such, can be less than you plan on putting down for financing. The deposit is often tied to the buyer’s obligations and is forfeited in the event that the buyer is unable to carry through with their obligations. Accordingly, while you may not intend to back out of the deal, it is important to be mindful of the possibility and negotiate a fair deposit amount. Furthermore, you should be mindful of any clauses that refer to the deposit and make sure that, absent your own breach, you are able to have the deposit refunded. On a related note, you should ensure that the deposit is held in an escrow account so that the funds are available in the event that they need to be refunded. Lastly, it is standard for the funds to be applied to the purchase upon closing, so buyers should confirm that is the case. Approval for financing by the bank. Sale of the buyer’s current residence. Zoning or Building Commission approvals. It is important to understand your circumstances and be mindful of events that may cause you to have to or want to back out of the purchase. It is also important to specifically word those events in a way that protects you and your deposit. 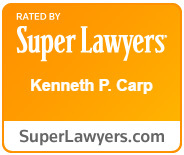 The St. Louis real estate attorneys at The Law Offices of Kenneth P. Carp are experienced in all stages of real estate sales. We can review the purchase and sales agreement to ensure that you are protected and that your interest are met. If you need assistance in or around St. Louis or St. Charles, please call 636-947-3600 today.